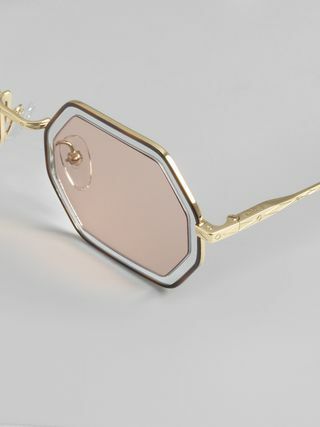 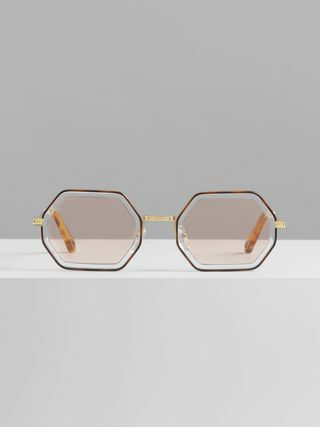 Light and feminine, Tally comes in a slender octagonal shape revealing contrasting double lenses joint together seamlessly for a playful retro attitude. 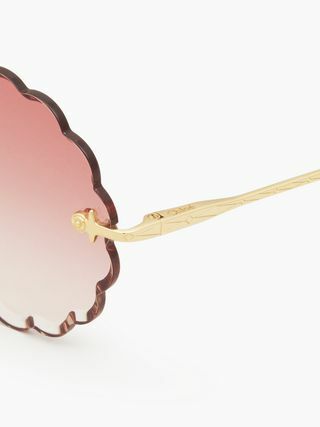 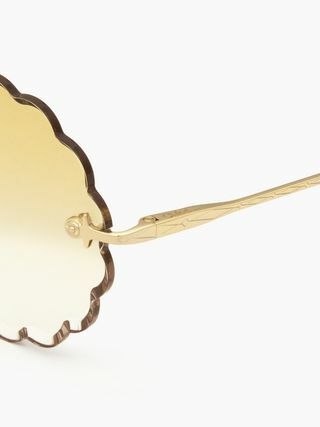 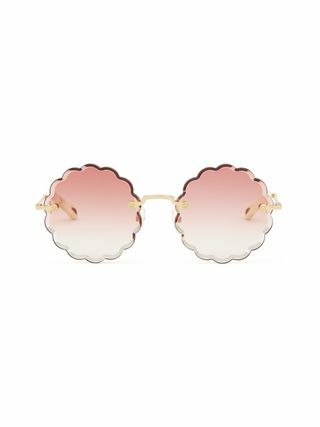 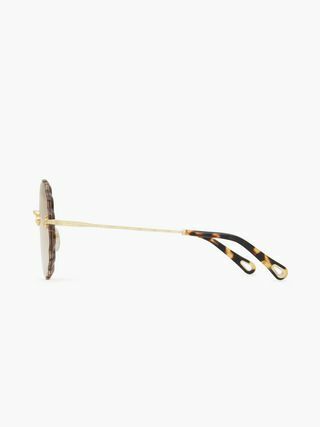 The sleek gold metal frame encloses light pink and blue lenses creating a vibrant pop of colour. 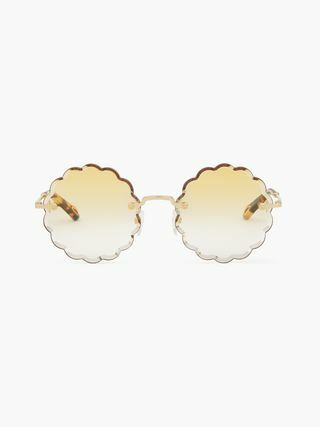 The temples and bridge are embellished with the Maison's engraved filigree pattern, while the tips include its signature drop-shaped opening for pairing with eyewear jewellery.